Text by Nikka Sarthou-Lainez – An online portfolio of the published works of a freelance writer. If you’re not familiar with Korean fried chicken, you must be hiding under a rock. Many have become smitten with this crispy and crunchy dish, judging from the number of chicken joints mushrooming around the metro. You’ll find that most places serve almost the same menu items. But Kko Kko is different. Yes, it has the traditional crispy fried chicken marinated in Korean spices, and the yang nyum variety that is tossed in sauces like classic soy and sweet chili. But what makes this restaurant stand out from the rest is its chicken and cheese fondue. And modern-looking it is. With its newly opened branch at Market! Market! (the third one already) showcasing an open space with colorful steel chairs, wood wall panels, and a high ceiling with exposed ductwork and vertical gardens in full view. The bright neon sign at the door is hard to miss as you step into Early Night? where a big chunk of Aracama used to be. Instead of an upscale Filipino restaurant and bar, you’ll be transported to a more casual concept that attracts the nearby crowd of office-goers who want to de-stress from the demands of their nine-to-five jobs. The same management team runs both establishments, but “Early Night? is a place where people can just go to for a drink without the need to dress up or pay for door charge. It’s a place where you can come as you and have one drink and an early night,” says Managing Partner Pamela Solilapsi. Eating “healthy” could mean opting for leaner and healthier cuts of meat. For other’s, it’s going vegan all the way. I consider myself someone in between—a flexitarian. 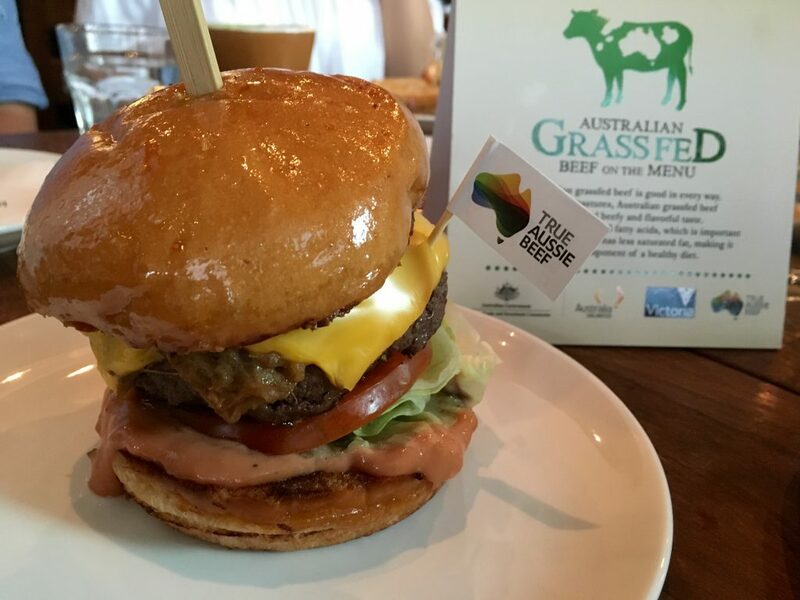 When I do eat meat, I go straight for the good stuff like Australian grassfed beef, which has less saturated fat than regular beef and a high level of omega-3 fatty acids essential for a healthy heart. It’s a good thing, then, that Australian beef has become more accessible in the local scene. The Australian Embassy even has an ongoing promotion, running until August 20, with 36 participating restaurants and 60 outlets in Metro Manila, Cebu and Davao. My personal favorite at Wildflour Café + Bakery would be the California Burger. Made with 1/3-pound Australian grassfed beef, cheddar, caramelized onions, and tomato, its components seem simple enough but one bite into the juicy patty will transport you to burger heaven. The high-quality ingredients really made all the difference. Those who like their meat in its purest form can also go for the Steak and Eggs: rib-eye steak slices topped with chimichurri sauce and plated with crispy potatoes. The steak was cooked perfectly—a bit seared on the outside but still pink in the middle. I couldn’t help but sigh as I relished the tender meat and its juices with each bite. I felt like a kid in a candy store at Spiral. I didn’t know where to start from the 21 dining ateliers because the food offerings were so overwhelming. 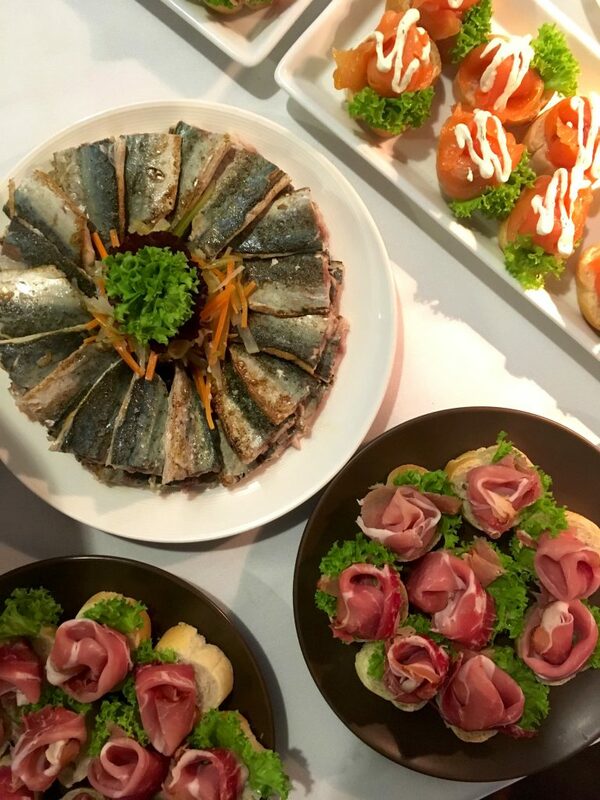 There were stations such as the boulangerie, salad and appetizer, rotisserie, churrasco, French, Indian, Asian… so whatever you’re craving, it would most likely be there. But my lunch visit coincided with the Flavors of the World series featuring Sabores Españoles so I was able to focus on one cuisine alone, Spanish, which is one of my favorites. I admire Spain’s culinary traditions so much that my travel bucket list includes having wine and tapas at Catalonia. Since I’m not flying there any time soon, I would settle for sampling curated dishes at one of the city’s grandest hotel buffets. For this third installation of the culinary series, Spiral highlights the specialty dishes of guest chef, Executive Corporate Chef Nicolas Diaz from Barcino Wine Resto Bar. My taste buds especially enjoyed the native Basque dishes that he prepared. If you’re a foodie like me, make your way to this limited culinary engagement and indulge in these eight must-try Spanish specialties. What comes to mind when someone mentions European cuisine? Some may associate it with fine dining, but there’s more to it than just that. Its wide range of cuisines encompasses the different countries of the continent, and that’s what we will discover in the first-ever European Food Festival in the Philippines. Here are three good reasons why you should participate in the festival. I’ve heard tales of Ibiza—an island in the Mediterranean Sea that is notorious for its nightlife and party lifestyle. It was on my bucket list for a while, until I outgrew it. Now, I prefer destinations with a more laid-back vibe where I can simply relax, indulge in some good food, and maybe enjoy some cool entertainment. Ibiza Beach Club meets my expectations. It is the newest dining and entertainment destination in the metro, opening on April 16, right in the heart of Bonifacio Global City. I have been to the first branch in Cebu, but Ibiza BGC is massive: the 1,000-seater flagship restaurant occupies 4,000 square meters in one of the city’s prime structures. But instead of getting a view of the beach, visitors would see landscaped greenery and the cityscape. 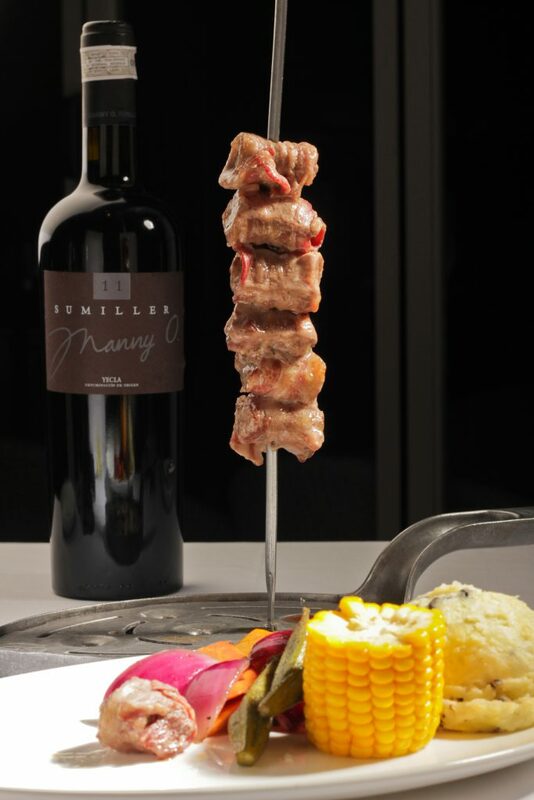 Manny O., a prominent entrepreneur and award-winning vintner, conceptualized this uniquely Filipino brand that has a registered trademark. The brand has become known for its Balearic-inspired, signature 15-course grill, which left a memorable mark on my mind during my last Cebu trip. I was happy to find out that the new Ibiza BGC is more accessible to urbanites like me. I came with an empty stomach. I was prepared for the unlimited grilled meat and seafood choices—Filet Mignon, Angus Rib-Eye Steak, Baby Back Ribs, Ostrich Meat, New Zealand Lamb, buttery Rock Lobster or Salmon, Tiger Prawns, Cuttlefish, Chicken, Crispy Pork Belly, and Beef Short Ribs. 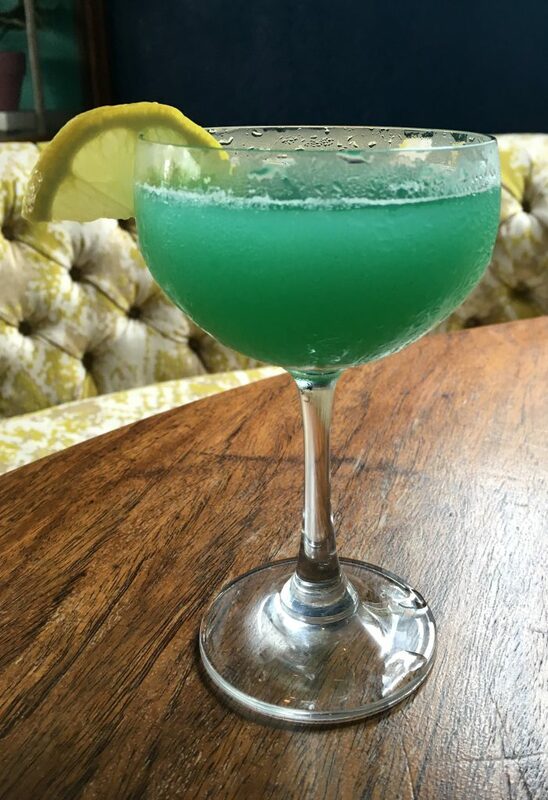 As if these weren’t enough, the 15-course repertoire also includes a serving of salad, Pao de Quejo (cheese bread), side dish, and grilled Queen Piña specialty dessert in its lineup. It’s not even the peak of summer and yet the heat is getting to us already. Best to cool down with these thirst-quenchers from big chains to keep you sane during those very hot days. 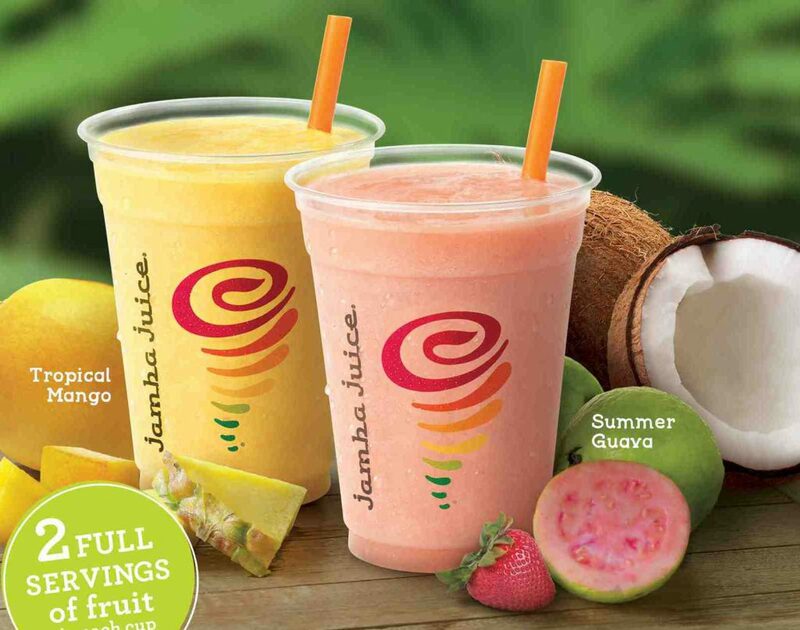 Some street vendors peddle the ubiquitous, delicious coconut, but if a fresh one is not available to you where you are, Jamba Juice might be. The juice company’s Coconut Fruit Refreshers come in two variants that highlight hydrating coconut water and real fruit. There’s Summer Guava and Tropical Mango (left to right in the photo) that are both excellent sources of vitamin C, potassium, fiber, and essential electrolytes. A 16-ounce cup is equivalent to three servings of fruit already. What more could you ask for? These started blending on April 10. Like the fragrant flavor of vanilla and the sweet taste of honey? 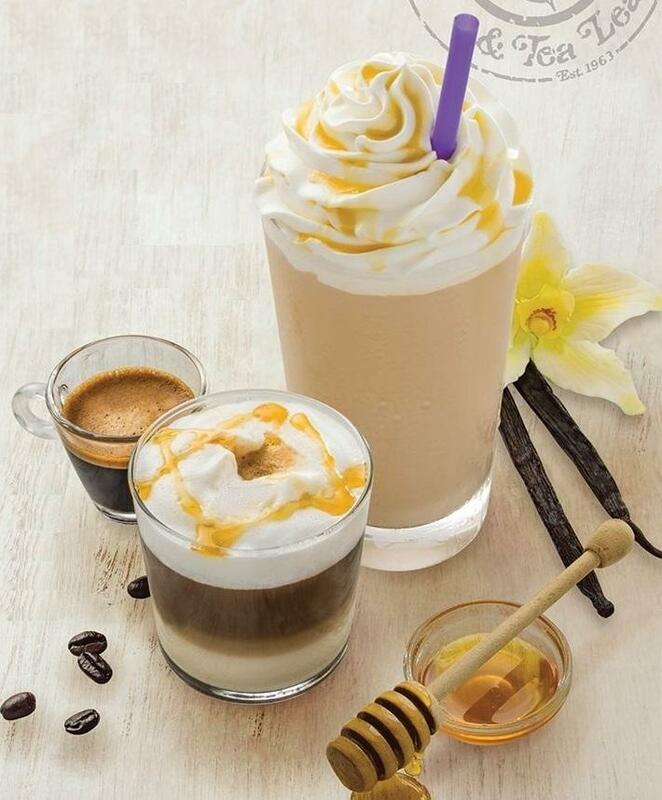 Then your palate will be pleased with Coffee Bean & Tea Leaf‘s Honey Vanilla Ice Blended drink (right, in photo) that combines both of these ingredients. The honey and vanilla powder creates a strong base for this whipped cream-topped beverage perfect for those with a sweet tooth. There’s also a hot variant called Honey Macchiato (left, in photo) that combines honey and espresso in one cup. These drinks are available nationwide until June 25. 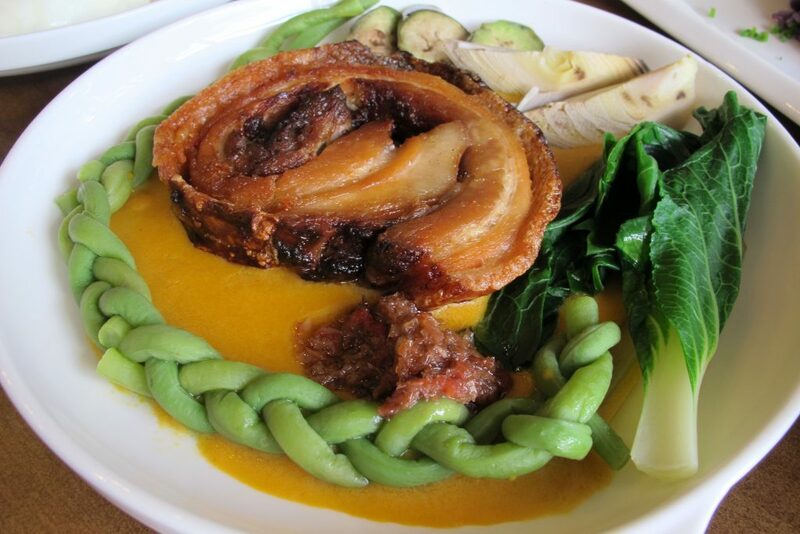 Filipino food continues to be in the limelight both in the local and international food scene. New restaurants have been popping up all over the metro, but not all are able to elevate Filipino food and its ingredients like the newly opened Bistro United. Glass walls beckon diners as they enter the spacious establishment, which has an industrial yet still warm and welcoming vibe. My eyes immediately went to the wall with the vertical garden—its lush texture and vibrant green hue add eye appeal. The exposed beam ceilings, white painted brick walls, and wooden furnishing with touches of solihiya bring a lot of character to the place. Its ambience actually reflects the cuisine of Bistro United, which executive chef Mia K. Capay calls “feel-good food.” “It’s not pretentious, it’s not something that’s going to intimidate you, but at the same time, we’d like to highlight the local ingredients,” she says. Did you know that French cuisine has been named by UNESCO as an Intangible Cultural Heritage of Humanity? In fact, it is the only cuisine in the world to be part of its Intangible Heritage list. 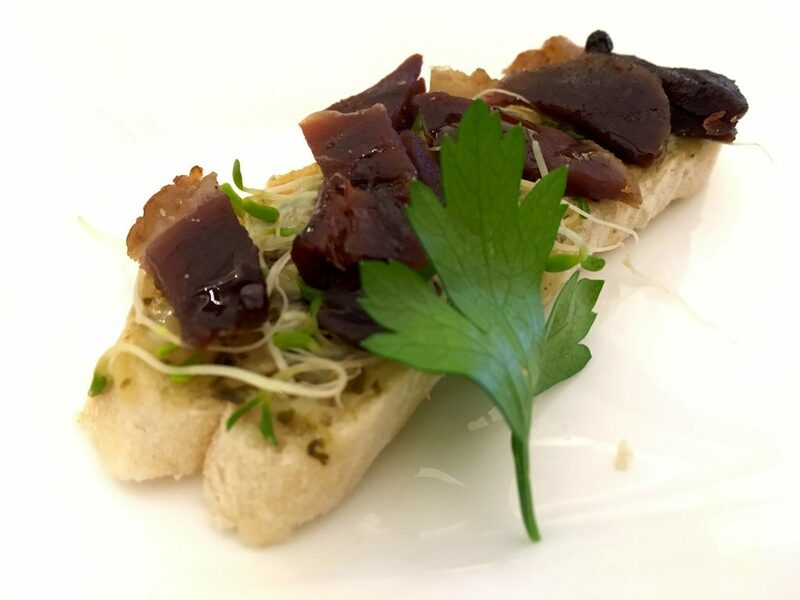 Fortunately for us, we don’t have to fly all the way to Paris to be able to taste this cuisine, as the Philippines will be joining the Goût de France event that celebrates French gastronomy. On March 21, this worldwide affair will feature French cuisine by chefs from different countries. An annual event since the French Ministry of Foreign Affairs and International Development organized it in 2015, the Goût de France was inspired by legendary French chef Auguste Escoffier’s idea to serve the same menu on the same day and in different cities across the globe. Hotel Benilde’s Vatel Restaurant Manila (Pierre Cornelis). “It is an opportunity for Filipinos to get a better feel of France through different aspects—culture, technology and also what we call art de vivre, the way of living. And obviously a part of art de vivre in France and in the Philippines is good food, good cuisine, fun cuisine,” said French Ambassador Thierry Mathou at a media preview for the event at Vatel Restaurant in Manila. Whether it’s 3-in-1, brewed, blended, or iced, coffee remains the staple drink of Filipinos. It’s hard to resist this aromatic beverage that puts the “ooh” in good morning. So don’t just get your quick fix of caffeine, learn more fun facts about our local brew. Did you know that the Philippines was one of the world’s top producers of coffee sometime in the late 1800s? It was the Spanish who first brought coffee to the country. The Philippines is one of the few countries that produces the four varieties of coffee: Arabica, Liberica, Robusta, and Excelsa. Barako belongs to the species Coffea Liberica, which accounts for less than one percent of the country’s commercially grown coffee. 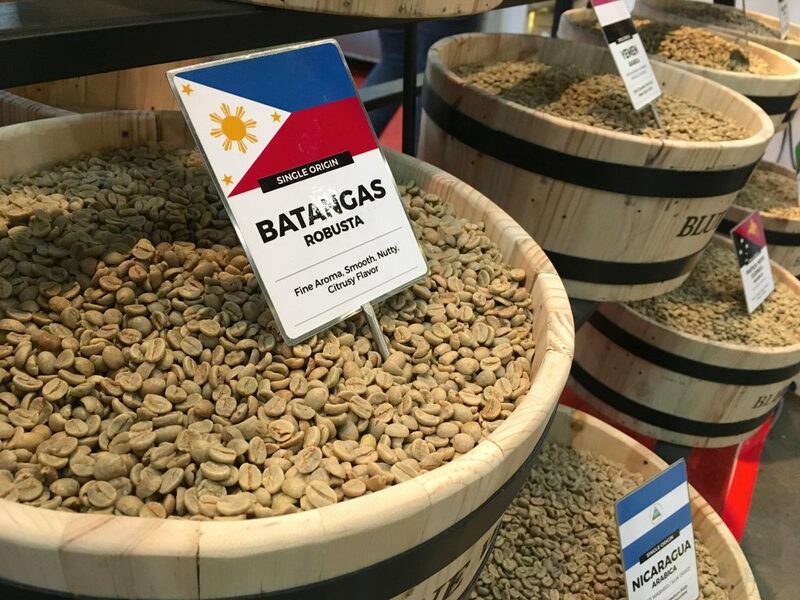 Robusta was the top-produced variety in 2016, according to the Philippine Statistics Authority. Coffee is a good wake-up call since it contains caffeine, which is legally addicting. But the caffeine content actually depends on factors like the roasting of coffee beans and the coffee-making process. “The darker the roast, the less caffeine. The lighter the roast, the more caffeine. The more you burn, the higher the temperature—the caffeine gets converted to sugars or carbon,” said Vie C. Reyes, a coffee farmer advocate who is the director of the Philippine Coffee Alliance and CEO of Bote Central Inc. “The longer you extract coffee, the more caffeine you’re getting.” She said that espresso has less caffeine because of the shorter extraction time. Drip coffee, therefore, has more caffeine.